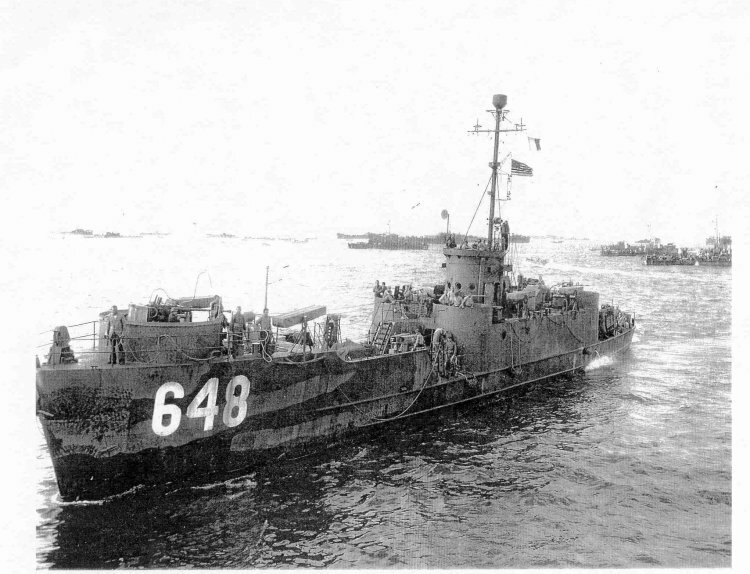 ↑LCI(M)-648 underway date and place unknown. LCI(M) Armament one single 40mm gun, forward, four 20mm guns, three 4.2mm chemical mortars mounted in three 4ft x 4ft wooden walled 2" x 6" high sand boxes on the well deck with the three tripod mortar tubes in position to fire forward over the bow, No. 2 Troop Compartment (under well deck) converted to a magazine. Image courtesy of NavSource.